Since 2001, The Attias Group has been helping individuals and families find their next home in the greater Boston area. Our Concord MA real estate agents are knowledgeable, professional, and committed to providing every one of our customers with excellent service. Whether you are looking to settle down in a traditional colonial home, or wanting to sell a modern and updated townhouse, you can join the large network of home buyers and sellers that have chosen to work with The Attias Group. Selling your home will only be as successful as your home’s visibility. By offering our customers customized listing packages – which are informed by the attributes of their home and the characteristics of the real estate market – The Attias Group achieves the highest level of online visibility for our clients. When you work with one of our real estate agents, you will be taking advantage of the numerous multi-media relationships we have worked hard to establish. The Wall Street Journal, The New York Times, the National Association of Realtors, Zillow, and Boston.com are just a few of the networking relationships that The Attias Group uses to help your home reach the largest number of potential buyers- but that’s not all! The internet and social networking sites are the future of real estate. 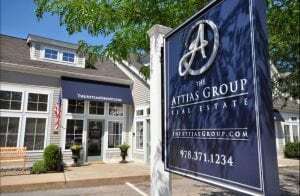 When you choose The Attias Group to sell your home, we will develop a comprehensive and innovative marketing plan that increases your home’s visibility not only in the greater Boston area, but also all over the United States and the world. The Attias Group is here to make your home selling experience a global affair! The Attias Group understands that buying a home is a journey, not a formula. Sometimes our clients don’t even know what they want until they see it. Our Concord MA real estate agents are committed to working with clients until they find the house or condo they are ready to call home. The Attias Group uses market analytics and social media strategies to increase your home selection and provide you with the greatest number of properties that fit your lifestyle, needs, and budget. Whether you are buying or selling, one of our Concord MA real estate agents is ready to work with you today! Contact us to learn more about our services.